In this week's issue of Equals, we're examining choices & democracy. Last night, with my 22-month-old daughter in my arms and another due-in-one-month baby girl in the belly, I exercised my franchise. As always, I felt a surge of pride stepping into that voting booth. My husband and I carefully explained to our daughter what it meant that we were voting. Mommy and Daddy are embracing our civic duty, participating in our community, working to shape the future – a right and a responsibility, etc. She mostly ignored us and set about affixing the “I voted!” stickers to different parts of our heads and faces, but we trust she’ll get it one day. Still and all, I struggle to remain engaged with this democracy and maintain a sense that my children will know even greater progress than I have experienced in my life. Living in a democratic society of course means so many extraordinary things, particularly relative to other forms of government. And really, it must be stated: There is no suitable alternative. We are free to voice criticism of our leaders, construct our own social norms and take our concerns to the polls. We are empowered to advocate as individuals or organize in groups. Each of us is technically afforded equal rights under this system and no single ideology or religious doctrine has the authority to dominate. And yet, being free to be you and me means that even the people whose values I abhor are at my side, wielding the same influence, as I cast a ballot. I’ve been day dreaming about you lately. Family nostalgia leads me back to the early 1940s. Though I wasn’t alive, bits of history from loved ones, and my own wandering imagination, help to put words to your story. I’m trying to imagine how your hands used to wrap around the crude stem of the hand-hoe to slowly open and work the earth, or the way they tenderly held the soft, warm flesh of the dairy cow’s teats to gently ease out your daily ration of milk. I wonder, who did you take your milk tea with in those days alone on the farm? I can imagine you inside the farmhouse, perched by the window, and contemplating the lonely fields of corn outside. The clink of the metal spoon as you stirred your rationed tea. The clatter of cup against saucer. Did these sounds remind you of your aloneness? Or did they somehow provide comfort against the quiet that your ‘boys’ – including your husband, David, and your two teenage sons, Desmond and John – had left behind? Growing up in the US, democracy is a principle we're ingrained with. Being an immigrant to the US, it also becomes a principle that is not easily taken for granted. Democratic values are in the core of who we are, almost from the beginning. We're taught the importance of choice and of exercising that choice. We're taught the importance of voting and the act of doing so. We're taught the importance of taking part in the process that determines leaders and rights and ways of life. Because we live abroad and are questioned on these American principles of democracy so often, sometimes in a curious way, and sometimes in a challenging way, I hold them dear. And it's something that I want my children to hold dear. It is after all, the main force behind why my parents would leave their own home, and language, and family, to start all over... But I assumed that in order to keep our cultural definition of democracy, our household would be the only place to teach it as we travel the world in little bits at a time. The brochure for the school caught me by surprise. It was in Danish, a language I don't speak. After running sentence by sentence laboriously through Google Translate, I learned more and more about the Danish Forest Schooling system. My daughter would eventually end up there, though initially, I had the same skepticism that any parent my had upon hearing that there are no books and no pencils in this school. Only the promise of full day walks in the forest where the day would present the opportunity for lessons based on the environment. Yet, the brochure promised, one of the foundational principles of this system of schooling, was teaching children to live democracy. Buy your copy of our inaugural print edition, along with exploration-themed accessories in our online shop. The print edition is 240 pages full of gorgeous photography and illustrations, and thoughts about cartography, uncharted territory, nostalgia, and souvenirs from some of our favorite women writers and artists. 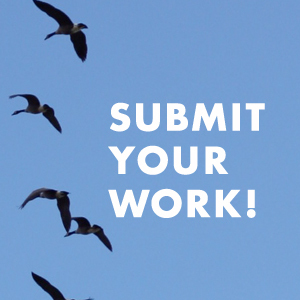 We are currently accepting submissions for our weekly issues through the end of the year. You can find our editorial calendar and submission guidelines here. Where are you reading Equals? Pick up a copy and tag your photos #equalsinprint on Instagram, and they'll show up here! Background photo by the lovely and talented Samantha Shorey.